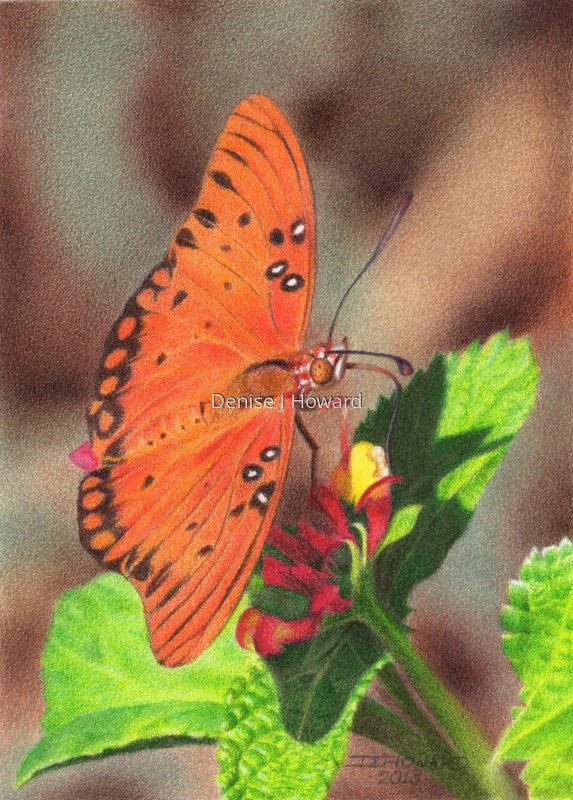 A gulf fritillary could almost be mistaken for a monarch; it is about the same size and the same shades of orange and black. But unlike a monarch, it has mostly light wing veins and loves lantanas, like this one I found in our garden on a summer day. Colored pencil on Stonehenge paper.